Sophistication is the fundament with Collette Dinnigan’s that she will never disappoint the fans for elegance and romance. Luxurious cashmere and wools in various weights adorning with lace trimmings in rich cooper, jade, purple, cobalt blue, or a touch of antique gold and silver, illuminate one from the crowed. Beading with jewellery, metallic details, lace with a touch of leather add a hip flair to the classical grace. Greener, cleaner, quieter, smarter: the A380 is a game changer in terms of aircraft performance, efficiency and respect for the environment. 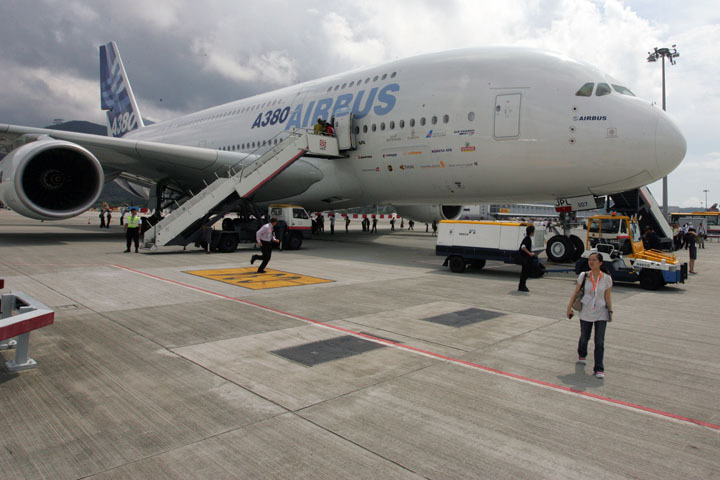 The A380 is the most spacious airliner ever conceived. Its cross section provides flexible and innovative cabins on two decks, offering wider seats, broader aisles and more floor space. A380 operations can fly 525 passengers 8200nm / 15200km in unprecedented comfort. The ultra quiet cabin, with wider seats for all passengers, refreshing air quality and mood sensitive lighting , sets new standards in passenger comfort.